Written by Carson Ting. Posted on February 5, 2019. Filed under Drawings. Tagged chinese new year, cny, year of the pig. Comments Off on Gong Hay Fat Choy! 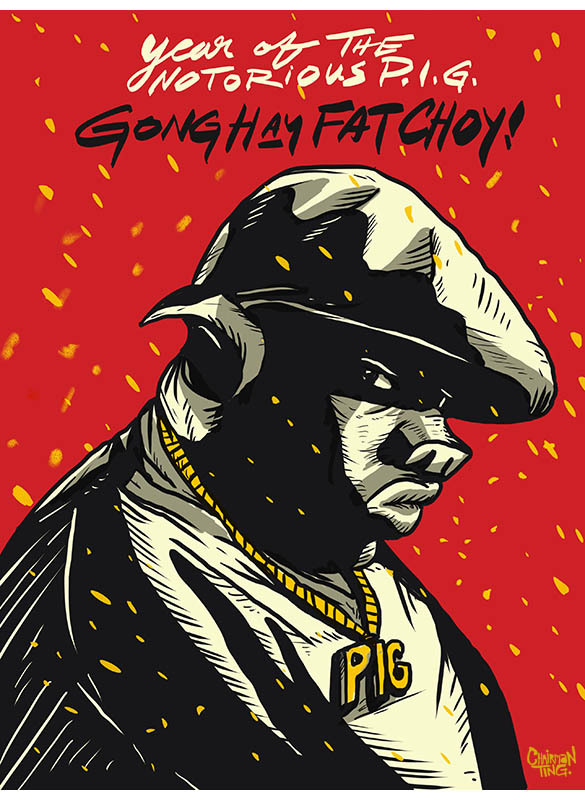 All the best for the year of the Notorious PIG. Gong Hay Fat Choy! Happy new year! Wishing everyone a very prosperous and healthy year of the notorious PIG from beautiful Hong Kong! All the best everyone!